Following up the enormous critical and commercial success of the award winning novel How to be Both cannot have been an easy task for Ali Smith. The prolific short story writer, though has returned to the fertile ground of her imagination for Public Library and Other Stories. Anyone who is only familiar with Smith from How to be Both will be intrigued by the quality and breadth of the stories found within the pages of this collection. If you knew her work before, the same quality of writing exists within this work, which also asks for contributions from other people, about the importance of libraries within their lives, and these little vignettes area fine reminder of the role that libraries play in the lives of people who choose to use them. So, we have short stories about love, about chance, and of life, all of which are linked to libraries, or literature in its widest sense. Library looks at a real life incident, with an upmarket gentlemen’s club calling itself The Library whilst Last looks at the plight of a wheel-chair bound woman waiting to be let out of a train carriage. The Human Claim interleaves DH Lawrence’s ashes with a relationship that is going through a difficult time, After Life follows the time and misfortunes of a man who is reported dead by his local newspaper. We also have stories about poets, a woman who grows foliage and becomes a tree, and the closing story, And So On, is about early death, and the ripples that the absence leaves. 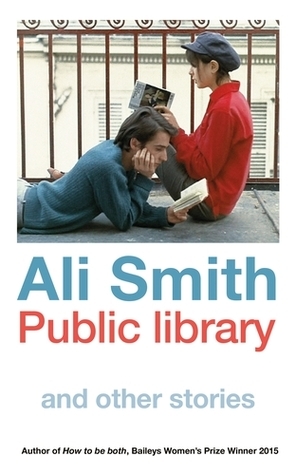 This is a fine collection, a book that is full of Smith’s accomplished writing, and humanity, and it raises important questions about the value of Libraries, and that in these times of austerity, the sad fact that many of these institutions, that have provided companionship, escape, and books that open new worlds to all of us, are being closed down. Having served on my town’s Library Board many years ago, I not only recognize the importance of this dying institution but the flower garden of cultural beauty that a library with its books, newspapers, magazines, geneology section, and library events. There’s something special about being able to hold a book in your hand, curl up in the covers, and be transported to a special world. Computers and the internet have done wonders, but we can’t forget where we came from and what we might be losing. This “Public Library” and other stories sounds very compelling. Thx Ben!